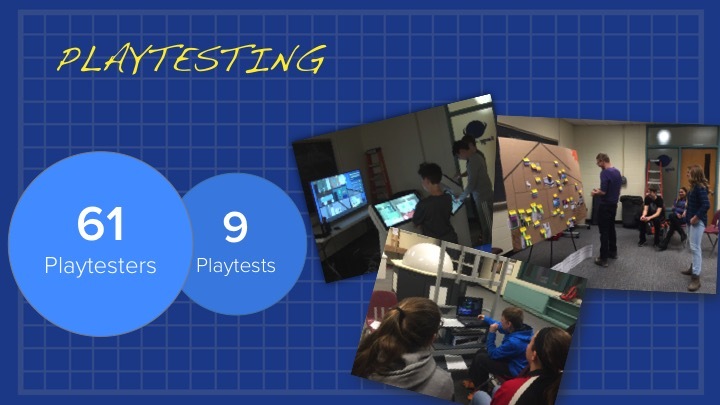 Team Joule from Carnegie Mellon University’s Entertainment Technology Center created a multi-visit, multiplayer interactive experience that’s integrated into a 9-week course at Elizabeth Forward Middle School. The experience, called the JurassicPower™ Innovation Center, simulates at-home energy conservation choices over a 20 year period during 7 visits to the Energy Lab, an interactive learning space at the school. 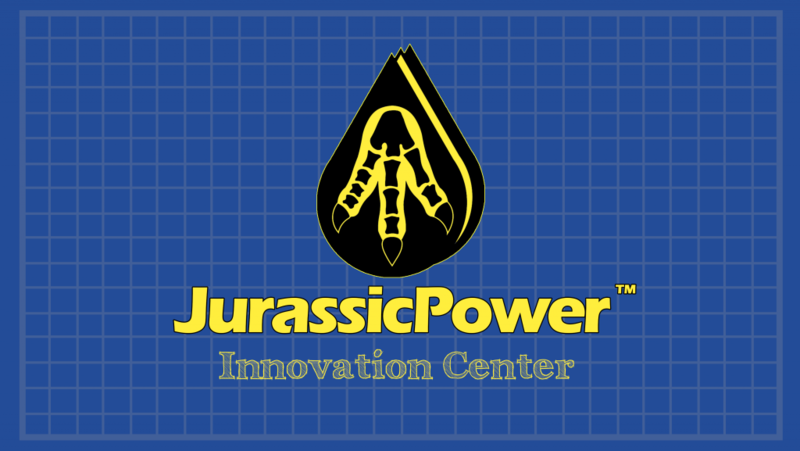 What is the JurassicPower™ Innovation Center? 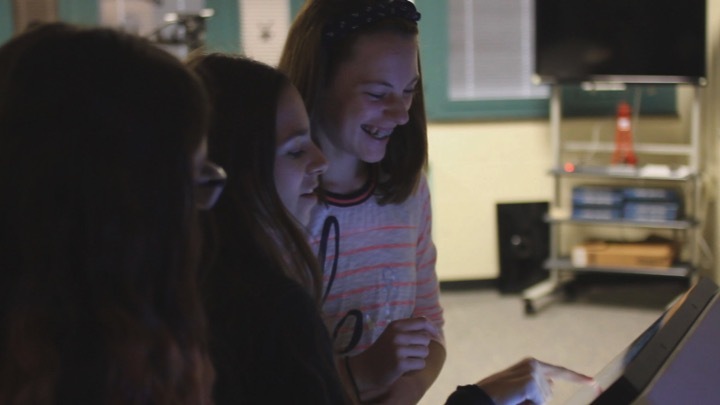 Our team was tasked with creating a culminating experience for the pre-existing Energy Lab, an interactive learning space built for seventh-graders that focused on solar, natural gas, and wind energies. 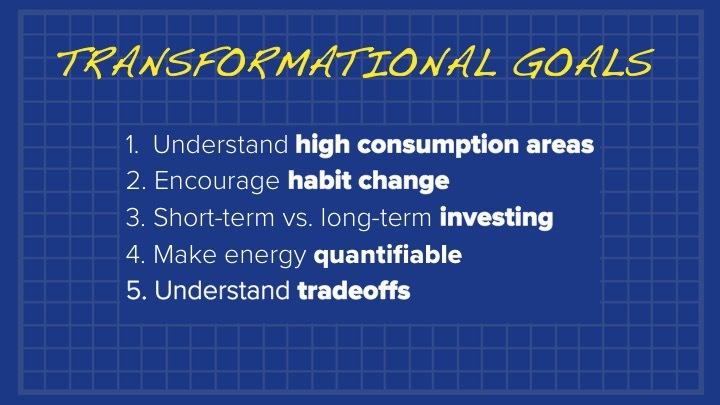 We flipped to the usage side of the equation and focused on energy conservation in a familiar context: the home. We created a role-playing experience that simulates 20 years living in a home over the course of seven visits. Students are given $500 and are tasked with seeing how much they can turn that into through energy savings over the 20 years. 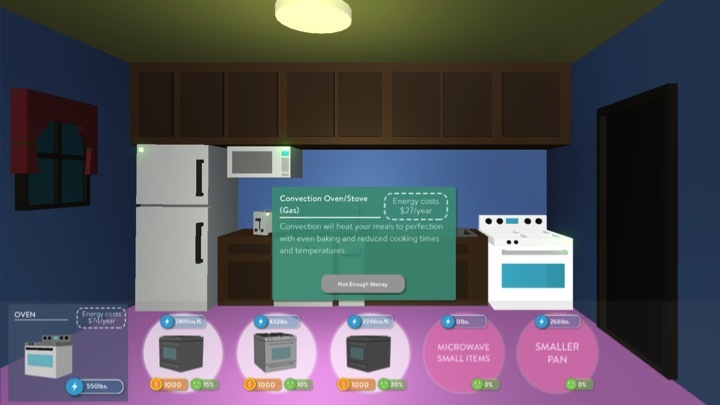 On each turn, students can make five choices, either habit changes—which of course are free—or investing their savings in energy-efficient upgrades. Three students form a team, and each student has control over a different floor in the home. Teams work together and must approve each other’s choices—they cannot act alone. In making decisions, students will consider energy cost per year, fossil fuels consumption, cost (if an upgrade), and any affect on comfort. 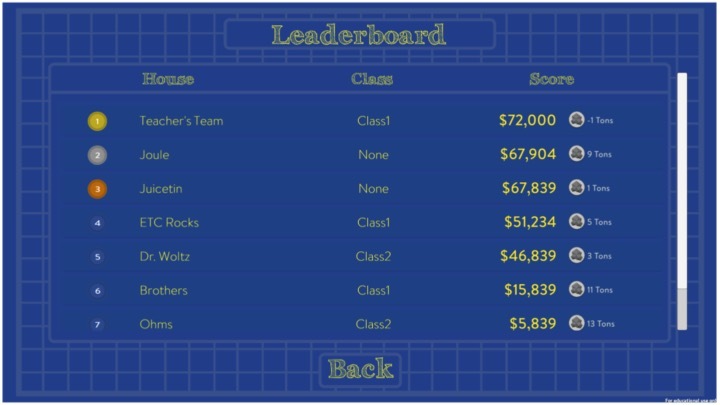 At the end of each turn, teams see how they’re performing relative to other teams in the class. They are scored primarily based upon total savings and also see their carbon footprint. 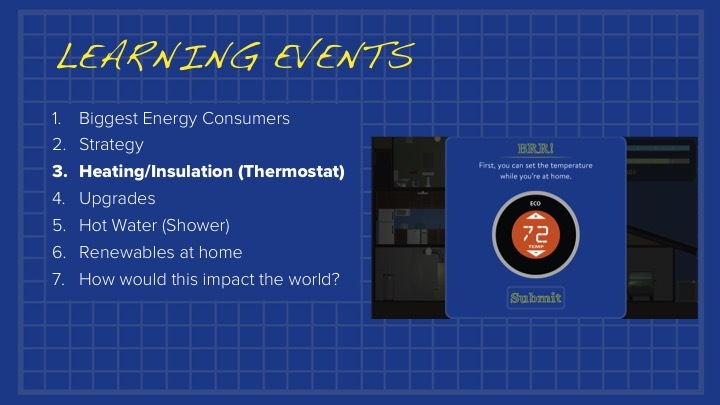 Help students understand where they can make the biggest impact in energy savings. As 7th graders, students generally won’t make purchasing decisions at home, but they hold a lot of power in changing their energy consumption habits. We wanted them to understand how powerful these changes can be and to empower them to make changes today. As future adults, we wanted to arm students with an understanding of the fact that spending a little more on energy-saving appliances in the short term can pay off substantial dividends in the future. Energy is something that’s difficult to quantify, so we spent a lot of time developing tangible figures and converting energy usage into units like pounds of coal. For instance, did you know a single incandescent lightbulb takes 770 lbs of coal to operate for one year? In all of these decisions, we wanted students to have enough data and an understanding of said data in order to learn how to make well-informed, intelligent financial decisions. 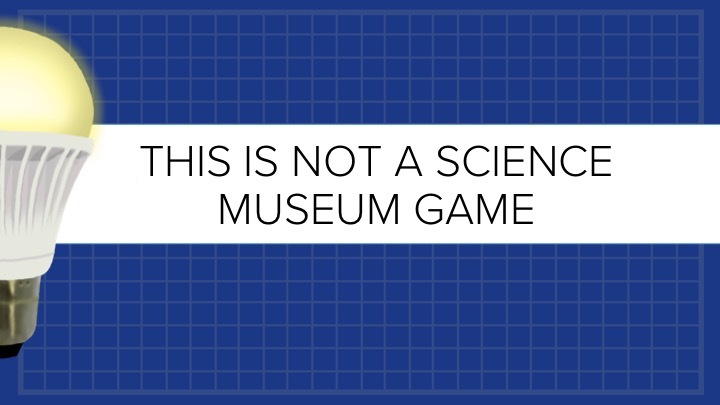 It’s important to mention that, though this looks like a familiar form factor, this is NOT a science museum game. This was specifically designed around a 10-week course and an existing curriculum, and it’s designed to be a long-term, multi-visit experience. 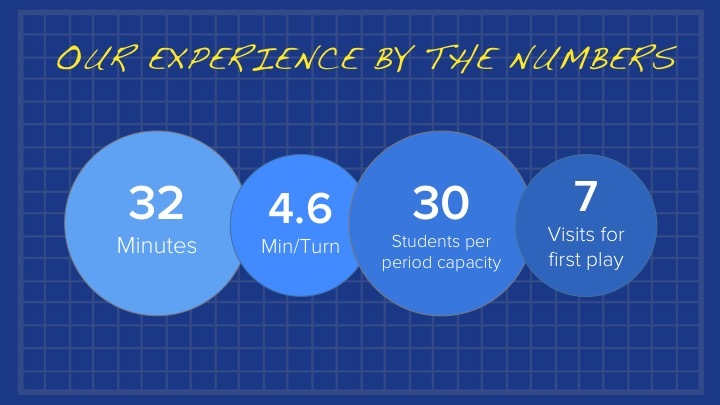 If you look at some of our key metrics, you can see that generally students spent over 30 minutes in their first play of the game, averaging about 5 minutes per turn, with longer initial turns as they explore the interface and options available to them. We crafted this experience time in order to hit our capacity requirements so that the whole class could play at the same pace. This 30 minute play time is encouraging to us as a sign of thoughtful play and discussion, as this is a game students could get through in about 45 seconds per turn. We saw that a lot of learning about tradeoffs and choices came through students sharing their options with each other and with the teachers. 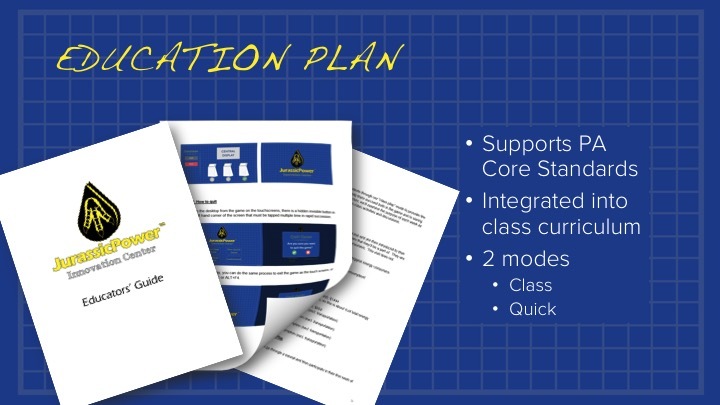 To support the transformational goals of the experience, we developed a robust Educator’s Guide that was integrated into the class curriculum and supports Pennsylvania Core Standards. We saw that a lot of student learning came through trial and error, which is why we made this a seven-turn experience. 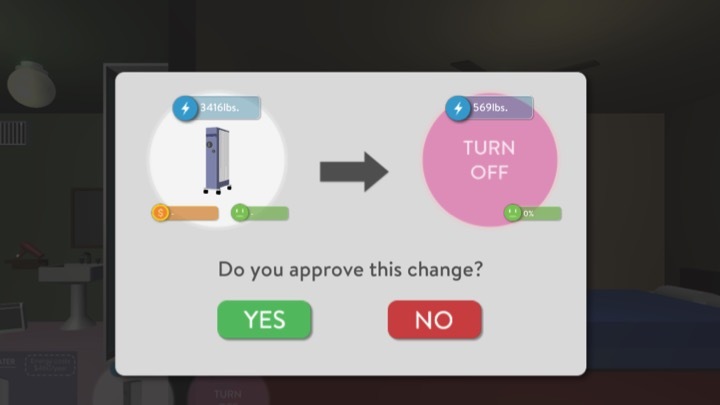 To support this, the students all play together in class mode but are welcomed to come back in the final weeks of the class to play through the entire game at once without the class-tied learning events. These learning events are tied into the curriculum with pre and post activities, and they support the learning goals of the experience. For example, one event asks the students to set their heater for the winter both while at home and while away. 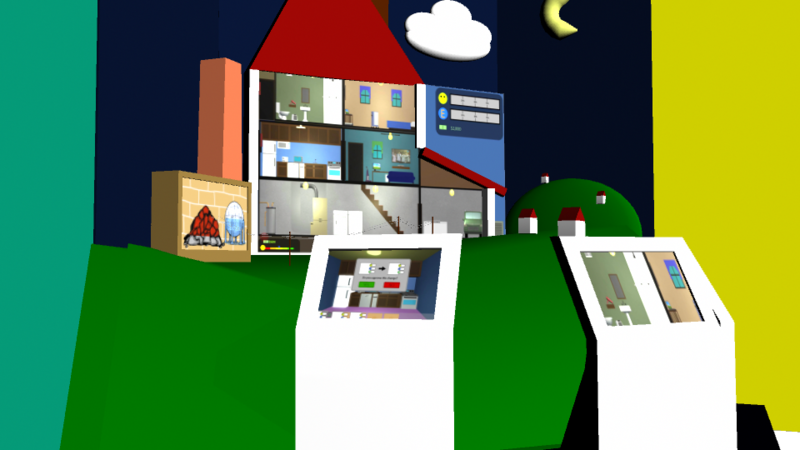 We initially worried that students may not take the game seriously and would just pick the minimum temperature, but because of the immersion created through role-play, we saw students take their comfort very seriously—sometimes too seriously, in fact, which led us to iterate a lot on the comfort UI to downplay its importance in the game. 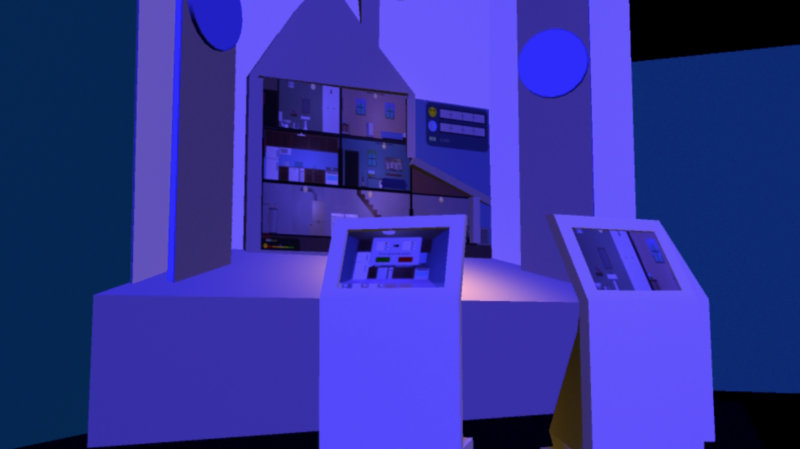 We gained insights like this through a robust playtesting schedule, which began with a cardboard prototype in Week 3 and covered iterations with a single screen, three screens, and eventually our final three-touch-screen experience. Perhaps the most valuable quantifiable insights into the project were into its educational efficacy. 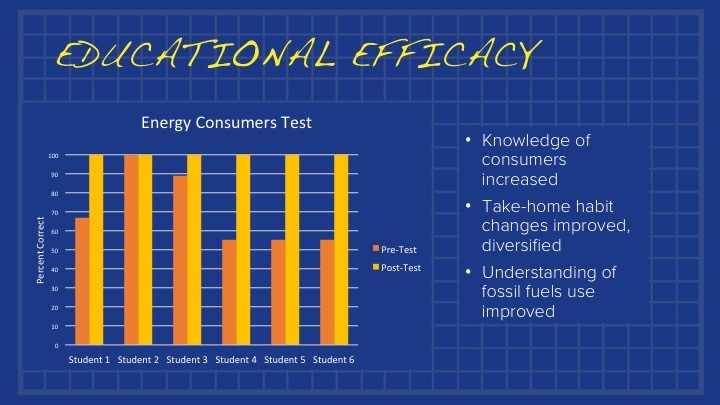 Through A/B testing and surveys, we learned that students did indeed leave with a better understanding of what consumed the most energy in their home. As seventh graders, their understanding of changes they could make at home improved both in terms of prioritization and breadth, and they also left with a more concrete understanding of their use of fossil fuels.